Check out this review by Thenailpolishchallenge! Hey guys! It's been about a month since my last post, which is really crazy - I promise I will post a blog update on everything you guys have missed me posting on Instagram and YouTube (which I have been active on!) soon, but with me moving (today!!) from New Jersey to Georgia, I just haven't had time to sit down and write a blog post. Rocky Mountain High is a seriously gorgeous vampy maroon creme. It's so glossy, it almost has a jelly-like feel to it! On the first coat it seemed to be a bit sheer, but the second one evened it out nicely. This is full coverage, but it's so shiny you can see the insides of my lightbox reflected on my nails! Shown above is two coats without top coat. 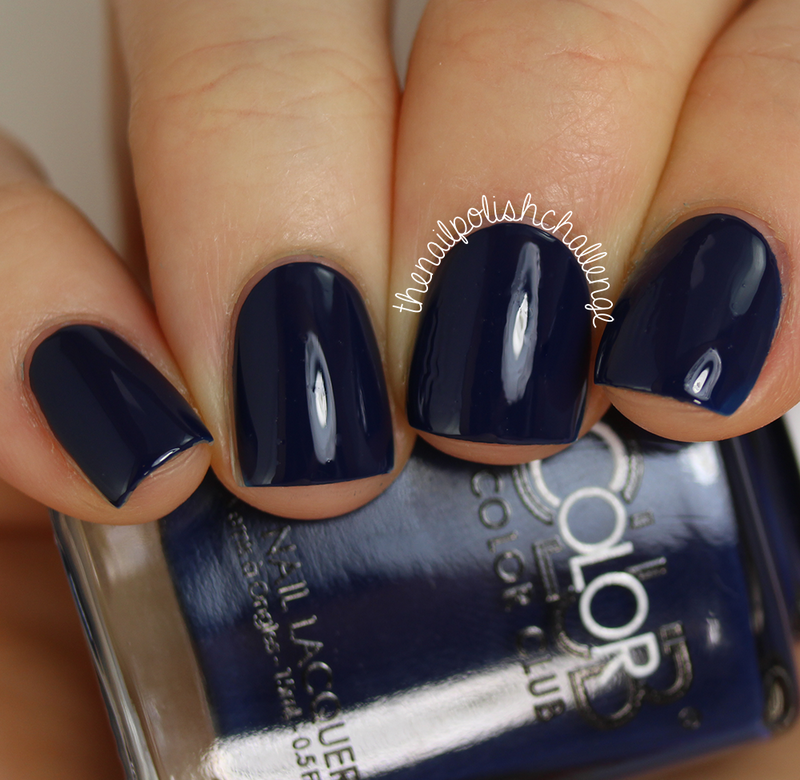 Made in the USA is a rich navy blue creme with a similar jelly-like formula as Rocky Mountain High. I absolutely love wearing navy blues in the fall and winter (especially since it's my favorite color! ), so I know I will be reaching for this one a lot. Again, you're looking at two coats without top coat. Road Trip! is a gorgeous dusty teal creme with a flawless formula. This is actually the color I chose to wear on my nails for my 13-hour drive to my new apartment today - not only is the name totally appropriate, but it's such a pretty color. I think this shade is great for any time of year! Shown above is two easy coats without top coat. Route 66 is a perfect sky blue creme with another perfect formula! (I know I keep repeating myself, but I just love this collection.) This color is another one that you can wear any time of year, and I definitely plan on using it for some winter manicures. Shown above is two easy coats, no top coat. Prickly Pear is a chartreuse green jelly. This is definitely one of those ugly-pretty colors, but I always find myself reaching for shades like this one in the fall when I am feeling especially fashionable. It was slightly more sheer than the others due to the jelly finish - above is three coats without top coat. Grand Canyon is a gorgeous orange creme. Let me start by saying this - I don't usually like orange nail polish. But this one is just different from any orange creme I've seen - it looks almost a little dusty, and I absolutely love it!! I imagine this is perfect for nail art too, since it's really opaque. Shown above is two easy coats, no top coat needed! Finally, we have Westbound, a sheer baby pink crelly. This is definitely a classic polish color, and the formula was a breeze! It was slightly more opaque than Prickly Pear, but still pretty sheer - probably great for a french manicure. Shown above is three easy coats without top coat. Overall, I honestly think this collection has something that will appeal to everyone - from vampy shades, to bright blues, to even a classic pink shade! I really do love them all (and as wild as the colors are, I think they look so good together) so I don't think I could pick favorites! This collection is available as a set from HB Beauty Bar for $34 USD, or individually for $4.95 USD each. Which ones do you like best? !